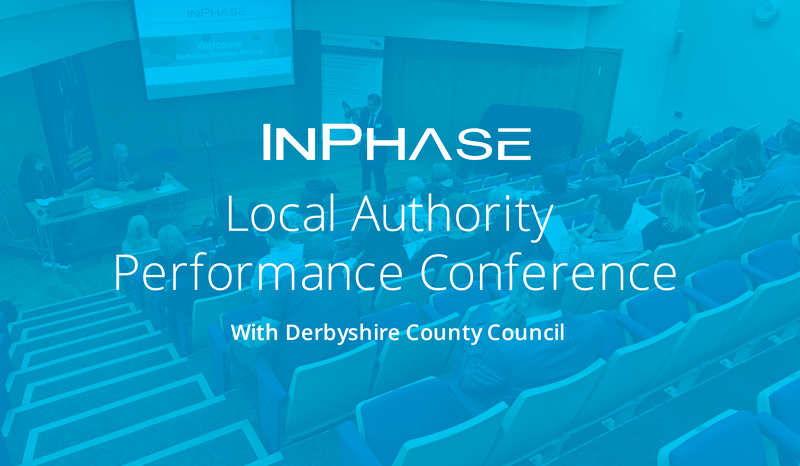 The morning consisted of six great sessions from members of Derbyshire County Council and InPhase discussing Derbyshire’s vision and delivery of integrated corporate and enterprise performance management. The conference was kicked off by Esther Croll (Policy Manager, Derbyshire County Council) sharing Derbyshire’s vision for Integrated Corporate Performance Management – "how do we want to manage and report in Derbyshire – what it means and why we wanted it." Esther took us through their original extensive requirements for their aptly named "APEX" system. She explained how it broadly needed to be all things to all people! But really the system had to be able to pull together all information from all systems across the Council as necessary to produce overall corporate reporting. It should also be potentially usable for any departments own management, including the replacement other Performance Management systems where appropriate in order to make savings and improve collaboration, joined-up working, and be able to support Performance, Projects and Mapping. Next up was Denise Ludlum (Environmental Sustainability Officer, Derbyshire County Council) explaining the difference that better performance management makes to delivery of a front line service and why Derbyshire County Council needs good performance management, what challenges they have and what difference the new InPhase system has made. Denise showed off some really nice dashboards for energy and sustainability with the installation of LED street lights. Denise shared how the council is tracking its environmental impact tracking energy consumption vs energy cost vs low energy investments. Derbyshire are able to drill down to individual buildings within their entire estate. Denise even showed us how they are driving action plans to transform and reduce their energy consumption. We then had Michelle Parker (Library Information Officer, Derbyshire County Council) who took us through the InPhase integration and data connections to the Council's library systems in order to report on the Library Key Performance Indicators (KPIs) and deliver a self-service view for library managers to establish and work on their own personal performance. Matthew Walters (Principal Policy Officer, Derbyshire County Council) lead a session on the council's approach to the implementation of the "APEX" InPhase system across the council. He started by showing us how they created reports to target the top levels across all departments and a member's area before moving downwards into varying levels in each department. Matthew demonstrated Derbyshire Council Council’s corporate KPIs in the system and how they are generated, managed and reported on, Business plans and operational Business Intelligence down to operational reporting and action planning. We also looked at Derbyshire's IT considerations and why they didn't go for a data warehouse, but instead went for a "Staging database" with flat tables pulling from the source files letting InPhase jump in with all the clever stuff afterwards. Finally, Robert Hobbs (CEO, InPhase) took to the stage and gave a very succinct run through of the other fundamental and interesting capabilities of InPhase. Robert explained how InPhase provides a platform of built-in and customisable capabilities for joined-up Plan-Do-Check-Act across the enterprise and throughout the management cycle. Also, he explained how Derbyshire have illustrated some of their uses of InPhase to meet their priorities and finished with some of the other capabilities might you want to use in your own system. We finished the morning with a delicious lunch and some more networking. Everyone scored the day as "Excellent" or "Good" and stress that this event met with their objectives for attending. We'll be holding other industry performance conferences across the UK so make sure you're on our list for an invitation to the next one! With a background in digital marketing and web design, it's Aden's job to manage the website, blog, forum, all email campaigns and all social media channels.